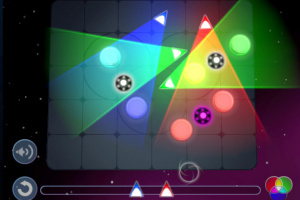 Liight is a puzzle solving game where the pieces are colored lights and the goal is to make cool music! Anyone can play! 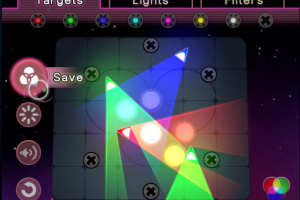 Just illuminate all the targets in each puzzle with light of the matching color... but it's not always so easy! You'll have to mix colors, cast shadows and make the most of your limited resources to solve these brain teasers. 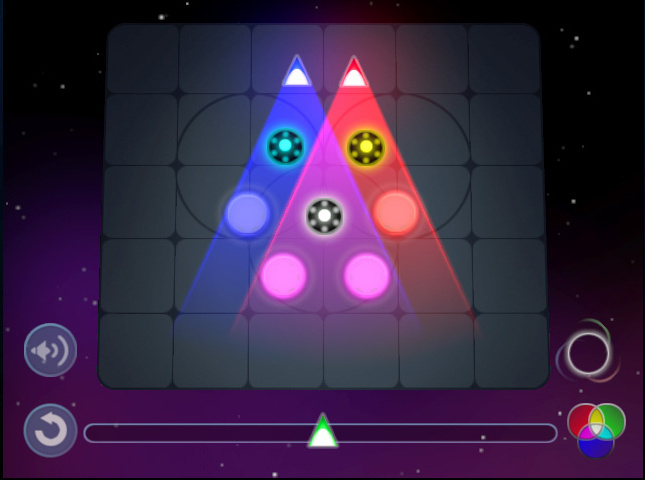 Solve 100 challenging puzzles! 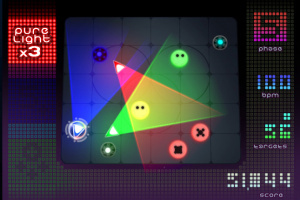 Create your own puzzles, and Share them with your friends via WiiConnect24. Host a Contest to see who can solve your puzzle the fastest. 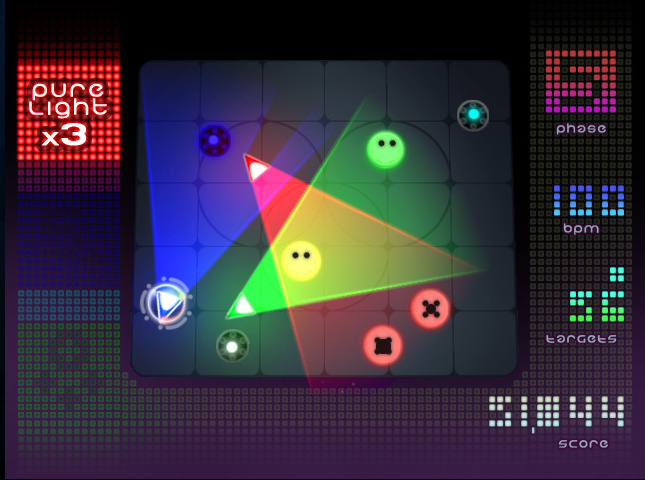 If you’re ready, take on Nonstop mode, a whole new way to play where arcade-style scoring meets split-second strategy! Looks really amazing. We want a video soon. Hmmm, nope, I'm limited to space and money, not wasting either with this. 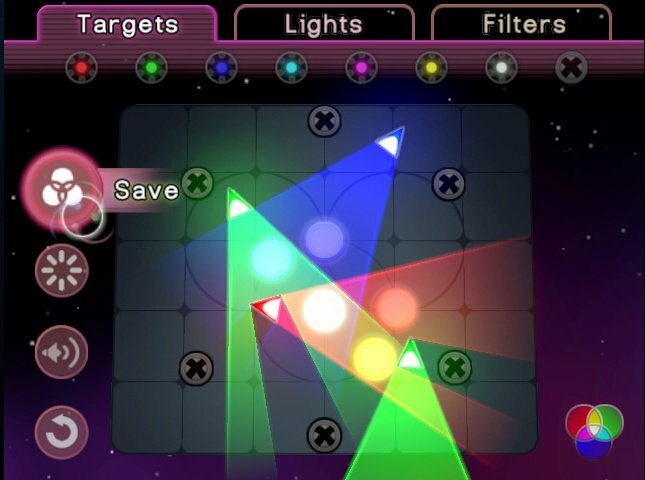 About time, WiiWare needs more puzzle games... oh wait. Reminds me of a DS game that could've been really great if it weren't for certain things holding it back. I hope this turns out better. If it does, it'll be a sure buy from me. Something about this game just makes me wonder about it. Dont know whether or not to get it. Just questions me. But, the music parts looks entertaining. 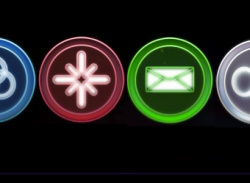 Wait, there are music elements, too? Now I definitely can't wait for this to come out! Now this I've gotta see! Interesting. I'm looking forward to it. Very interesting. 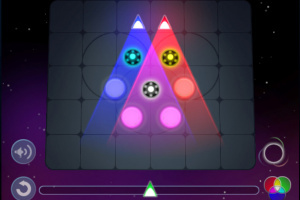 I've never played a puzzle with light. This will be quite interesting when it comes out. 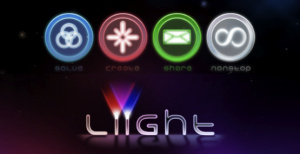 Likin' the new logo, and especially the prospect of creating and sharing your own levels. Best puzzler on WiiWare? We'll see... LIT and Toki Tori might be able to stand up to it. Here's hoping it's another fantastic WiIWare gem, anyway! Hmmm....looks interesting. I'm going to keep an eye on this one. Yeah, I got a feeling this'll be a gem also. Oh wow! I'm getting good at "stumbling across" developer interviews - here's one I found regarding Liight. That was a great interview, Wiiloveit. It really makes me excited for this one. I know! I can't wait for this! Will this game ever come out? Yeah, I wish I knew if we could still expect it. I loved this idea. I repeat will this game ever come out? gameking23: Yeah, it's coming, it's coming! We are a PAX 10 2009 winner this year!!! 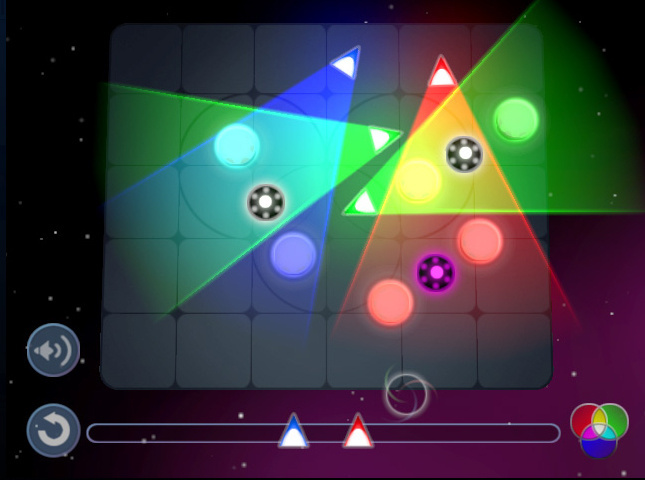 We will be playable at PAX (and we were playable at GDC). Indi development just takes longer than I expected, so I apologize for announcing so early. check out www.studiowalljump.com/liight for more info! Looks good and educational, I think I will get this one. This game looks like it has the potential to get VERY difficult. For 500 points this should be an insta-buy.